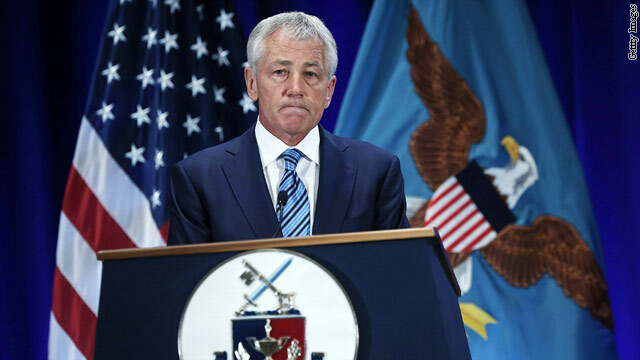 In response to an Air Force colonel's overturned sexual assault conviction, Defense Secretary Chuck Hagel is asking Congress to limit military commanders' authority to toss out court-martial verdicts. The effort comes in response to the case of Air Force Col. James Wilkerson. The F-16 pilot was freed last year from a Navy brig four months after a court-martial convicted him of sexually assaulting a woman at his home outside Aviano Air Base in Italy. 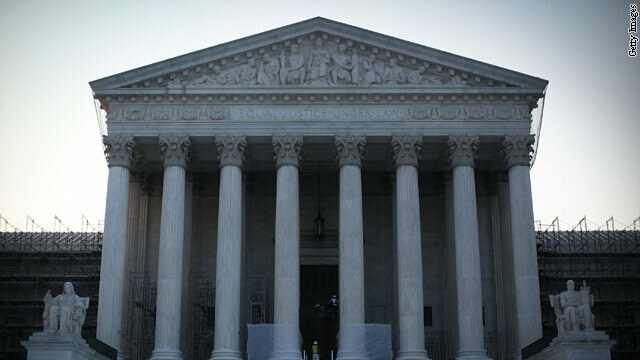 The Supreme Court rejected an effort by a group of attorneys, journalists and others to proceed with a lawsuit over the federal government's sweeping electronic monitoring of foreigners suspected of terrorism or spying. The 5-4 conservative majority on Tuesday concluded that the plaintiffs lacked "standing" or jurisdiction to proceed, without a specific showing they have been monitored. The National Security Agency has in turn refused to disclose monitoring specifics, which detractors call "Catch-22" logic. Justice Samuel Alito said plaintiffs "cannot demonstrate that the future injury they purportedly fear is certainly impending." The justices did not address the larger questions of the program's constitutionality, and this ruling will make it harder for future lawsuits to proceed. 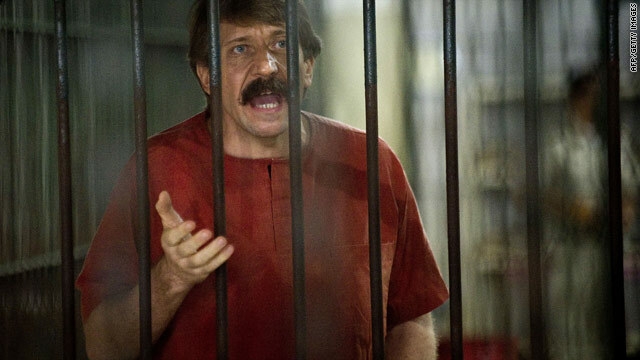 A man accused of working with convicted arms dealer Viktor Bout is under arrest in Australia, the Drug Enforcement Administration announced Thursday. Richard Ammar Chichakli was arrested Wednesday by Australian authorities at the request of the United States, DEA Administrator Michele Leonhart and Manhattan U.S. Attorney Preet Bharara said in a news release. Chichakli, a U.S. and Syrian citizen, is accused of conspiring with Bout and others to buy two planes in the United States to transport weapons to conflict zones in violation of international sanctions, the release said. He's charged with money laundering conspiracy, wire fraud conspiracy and six counts of wire fraud in connection with the attempted aircraft purchases, the government said. "The international law enforcement community has long recognized Richard Chichakli as a key criminal facilitator in Viktor Bout's global weapons trafficking regime and his arrest means the world is safer and more secure," Leonhart said. "Bout merged drug cartels with terrorist enablers, and his close associate, Chichakli, worked to ensure they could ship weapons and conduct illicit business around the world. DEA continues to forge strong partnerships worldwide and applauds our Australian police partners." 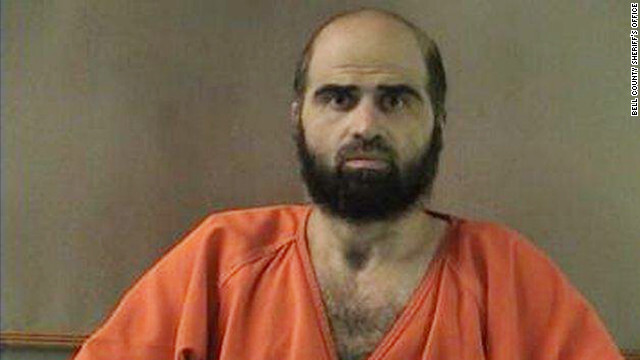 The U.S. government has asked a military appeals court to deny accused Fort Hood shooter Maj. Nidal Hasan's request to keep a beard he has grown and to reject his bid to have the judge overseeing his court martial removed from the case. Army regulations prevent most soldiers from wearing facial hair while in uniform. Hasan, a practicing Muslim, maintains he has the right to wear the beard under federal law protecting religious rights. Involuntarily shaving a person is "not a novel concept" and is within the court's rights, the Appellate Government Counsel of the Judge Advocate General's office wrote in a brief for the U.S. Court of Appeals for the Armed Forces. Hasan did not prove that wearing his beard was "based on a sincerely held religious belief," the filing said. The brief also raised the concern that Hasan's decision to grow a beard was to make it difficult for witnesses to identify him, calling the timing "questionable." A federal appeals court Tuesday tossed out the conviction of a driver for Osama bin Laden, dealing a blow to the U.S. military commissions system. Salim Hamdan was convicted in 2008 of providing material support for terrorism. In a unanimous decision, a three-judge panel of the U.S. Court of Appeals for the District of Columbia Circuit overturned the conviction. 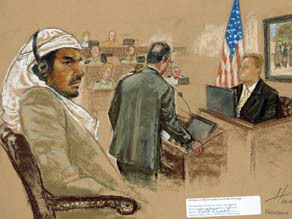 The court noted that Hamdan was found guilty based on conduct that took place from 1996 to 2001, but the charge of material support for terrorism only came into effect with the passage of the Military Commissions Act of 2006. 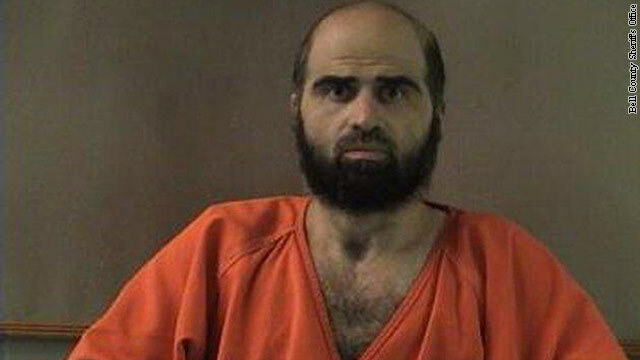 Attorneys argued again Thursday about whether accused Fort Hood shooter Maj. Nidal Hasan can be forcibly shaved so that his stalled court-martial can proceed. 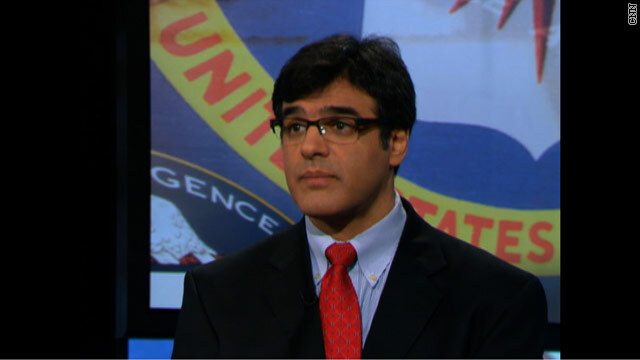 Thursday afternoon's hearing at the Army Court of Criminal Appeals in Virginia was called to address Hasan's continued refusal to shave before court appearances, the Army said.